These Mugs hold 16 oz and it is recommended that you hand wash these mugs. Enjoy your vodka cocktails in this beautiful mug. 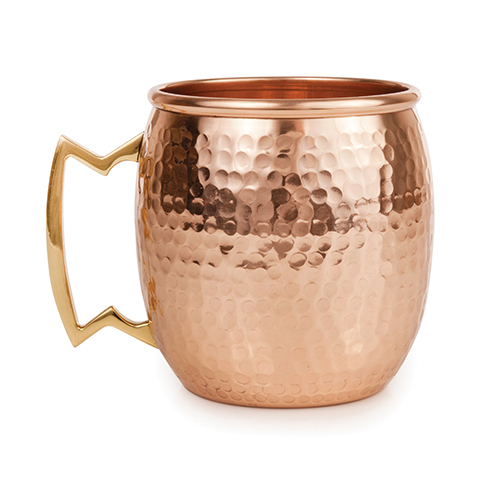 Intended to keep your drink colder longer, the copper has been lacquered to resist tarnishing. Great for sipping frosty cocktails or beer! 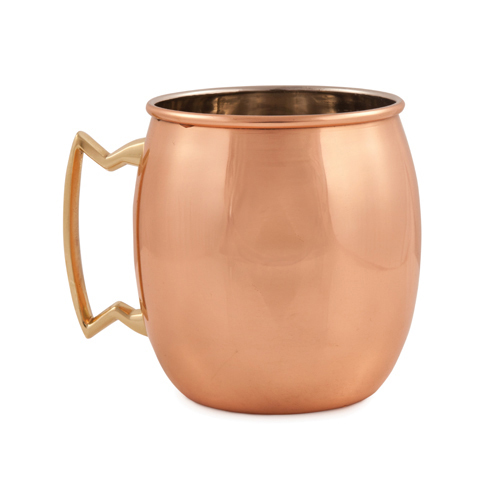 Copper is cast to make a classic Moscow Mule mug, complete with a golden-hued zig-zag handle. Fill it to the brim with the classic concoction of vodka, ginger beer, lime and fresh mint, or hang it up by the handle in your kitchen. 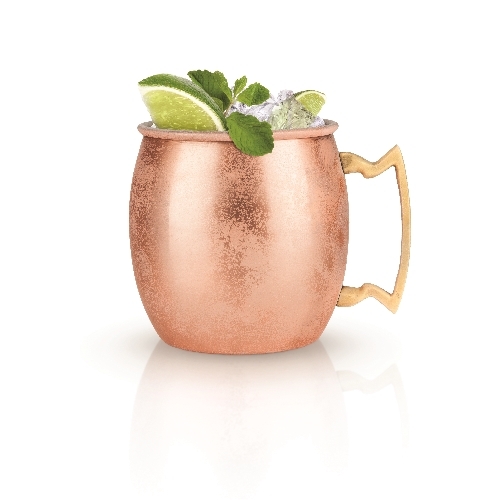 Copper is hammered into the iconic shape of a Moscow Mule mug, giving this elegant vessel in a bright burnished gleam. Hang it shining in the kitchen or hold it in hand brimming with the classic concoction of vodka, ginger, lime and fresh mint.